"Let me help you upgrade the finishes in your home." Are you looking for a quality and affordable Home Remodeling General Contractor for your next project? I have a proven record of successful home remodeling projects. I am a reputable company in Carmichael, CA. I service the Greater Sacramento area. I ensure that all renovation projects are done with the utmost professionalism, using quality materials while offering clients support and accessibility. For me, honesty is the only policy and I strive to complete all residential remodeling projects with integrity. 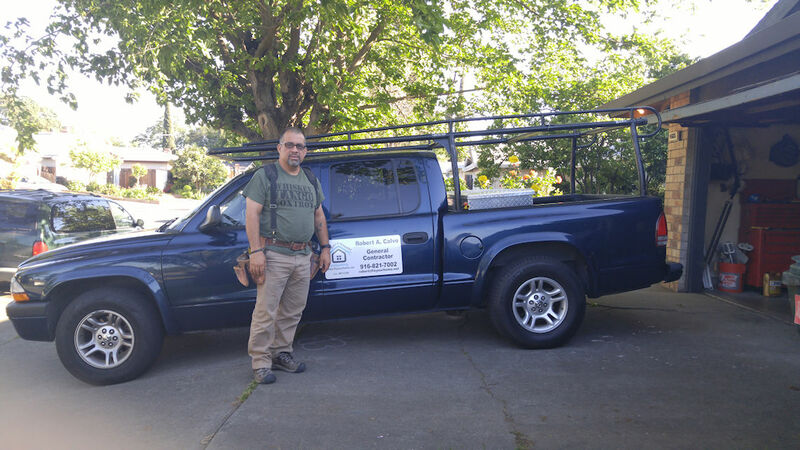 With hundreds of successful home remodeling projects under my belt, I am one of the trusted construction experts in Carmichael, California and surrounding areas with the customer reviews to back it up. I am committed to complete all construction projects within the timeline set with my clients. 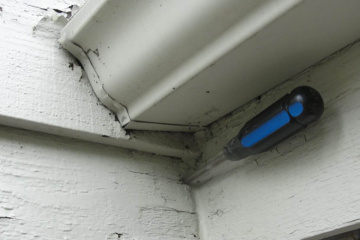 I use the best of technology and tools to ensure that all home improvement jobs are done quickly, while giving attention to details and ensuring everything is done correctly. I am always looking to see how I can be of more service to my clients. I am a Carmichael General Contractor focused on bringing outstanding customer service at the most affordable prices. My services include repairs, remodels and consulting for both residential and commercial interiors and exteriors. I am a remodel and repair specialist who believes in straightforward, honest communication at every stage of the planning and building process. 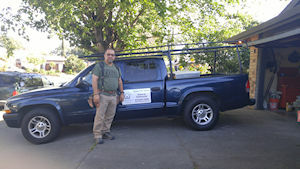 I provide home remodeling and repair services in Carmichael, Fair Oaks, Citrus Heights, Orangevale, Roseville, Rocklin, Antelope and Sacramento. Our Powder room addition turned out great. He visited the house to take a look at the plans, gave a proposal and stuck to it in spite of some unfavorable existing conditions discovered during the demolition phase. He was very easy to work with and was reasonable with pricing of additional scope. He works hard, has a positive attitude, and is very reliable. He was meticulous with the details and came back and fixed the odds and ends that a lot of contractors neglect to take care of. Robert has excellent customer service and awesome quality! 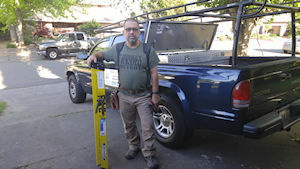 He has been servicing our Dutch Bros buildings and personal projects for 2+ years and we are thrilled to recommend him. 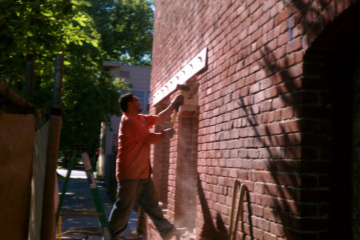 He has a wide range of services, very versatile, our one-stop guy for many projects! If you want excellent workmanship and professional results at a fair price...give him a call! We purchased a home that had been a rental and needed attention across a number of trades. After consulting with several General Contractors, I decided to schedule various trades myself (with the aid of Angie's List) to save money. Robert was referred to me via Jay's Painting as someone who could complete the tasks I was having difficulty scheduling (e.g., adding a door, framing a wall, texturing drywall patches to match existing walls, etc.). 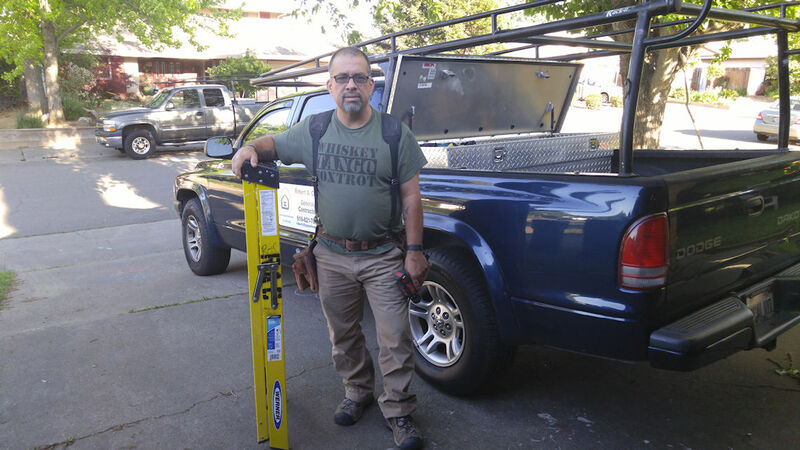 When I first contacted Robert, I expected a talented tradesman--not knowing he was a General Contractor in his own right. I was impressed that Robert was willing to take on the rather piecemeal tasks I needed and he made no effort to take over my project. Once on the scene, Robert was calm and professional at all times. He worked well with other contractors and their employees. He readily offered advice and consulted with me about various options. He quietly helped apprentice workers (working for a different contractor) with simple advice and suggestions--without undercutting the other trades or offending anyone. He was amazing! It was clear he is a talented General Contractor even though the work we contracted was of a smaller scale. It quickly became obvious that he could have run my entire project beautifully, and yet he did not appear offended in the least to be asked to complete just a portion of the project. If I'd met Robert earlier, I'm sure he would have been my General Contractor. As it was, he was an amazing support in every way. Robert removed and repaired the dry rot in the floor and in the wall by the tub, removed all tile from the tub surround and the vanity top, prep'ed the areas for new tile and installed tile on the floor, tub surround, and vanity top. Installed a new toilet, towel bars, sink, faucets, drains, mirror, re-plumbed the shower and sink, and painted the entire bathroom. One of the special things he was able to do was save the original cast iron tub, which had major staining from an old water leak.....he spent hours cleaning it with CLR and sanding cloth because he knew I really wanted to keep the tub.....it's beautiful. Robert did a number of special touches for me based upon things we'd talked about. Robert did a fantastic job with all that needed to be done. He was always punctual, friendly (especially with our dog), and professional. Robert has an eye for detail; when it came to checking for dry rot and he did a good job making sure the new siding was flush with the old. The other work he did - door & gutter installation also was done well (and fast). When it came to pricing, Robert was reasonable (especially for the quality of work) as well as transparent. I'd definitely recommend Robert to anyone. It was a fabulous experience, we have had our share of contractors and Robert went above and beyond. I fell thru the ceiling causing around 4x4 foot hole in the middle of our living room when attempting to repair a ceiling light from the attic at aproximately 8:30pm. My pregnant wife absolutely freaked out and contacted multiple contractors within a hour of the incident. Robert replied immediately and offered to come out the next morning to take a look. He arrived at aproximately 8:30 am, wrote up a quote and said I'll be right back. He worked efficiently and continuously from 9am till 2:30pm. I must admit i was somewhat nervous about the texture and hoped it'd look good and he absolutely failed to disappoint me in any way. The ceiling and the texture looks wonderful. He also took his time cleaning up and make sure no mess was left. The quality and the professionalism he demonstrated is second to none. I badly injured my rib and requested if he'd consider completing the baseboard and the door for us when available. I would whole heartily recommend him to anybody. There's not enough thumbs to show how much i appreciate his service and work. So I've know Robert for over 10 years, I met him at a party where the homeowner was showcasing all the work that Robert did over there and have been using him ever since. He has done all kinds of work at my home and I have referred him to many of my Real Estate clients. His work is very professional and he is very knowledgeable. He does work at my mothers house which speaks as to how much I trust him. Her hickory flooring looks amazing throughout her whole house, new doors and even kitchen cabinet pull outs. Thanks for your hard work buddy. Robert just finished redoing two bathrooms for me that had extreme water damage that had been going on for several years. Needless to say, they were both a mess. Robert did a remarkable job and was fast, thorough and efficient. He was so easy to work with, always pleasant with a smile on his face. His prices were fair and reasonable and I would highly recommend him to anyone and everyone. Thank you, Robert, for two beautiful bathrooms and making my tenants very happy. If you want the highest level of craftsmanship Robert is the contractor you should use. Robert listened to our wishes and we ended up with our home definitely increasing in value. Robert's estimate was right on the money and when there was a problem with the roof sheathing he consulted with us as to how we wanted to proceed and went to great lengths to match our shingles. Robert was professional and friendly with a true work ethic and strived to not only complete the job on time but he also cleaned the work site each and every day and at the end of the project left the area immaculate. We would definitely recommend Robert to anyone and would use him again for any project. Robert has done many projects at my house. He has remodeled 2 bathrooms, has done electrical work , can lighting, fans, moved electrical outlets, ran power for my pool pump. He has installed wood flooring and tile. Every job was done very professional and price was always fair. Robert is my go to contractor . Robert did a complete remodel of the kitchen in my first home (cabinets were installed by Marty), and it was beautiful! He put in new flooring, new lighting and some plumbing. It was easy to see that Robert is a perfectionist. A few years later I bought a different house, and it was a complete "train wreck!" I was so grateful that Robert was willing to take it on and make it liveable. He installed new flooring, lighting, ceiling fans, new locks; and he's corrected endless wiring problems. He makes a schedule and sticks to it, and he always leaves the workspace clean and organized. It's fun to see the improvements by a contractor that I trust completely. Thank you, Robert. Robert has helped me rehab a few homes over the past two years. From plumbing to electrical to framing to flooring he always does a great job. A true craftsman. My promise as a General Building Contractor, is to build value into your home remodeling project while delivering professional expertise, exceptional customer service and quality construction.